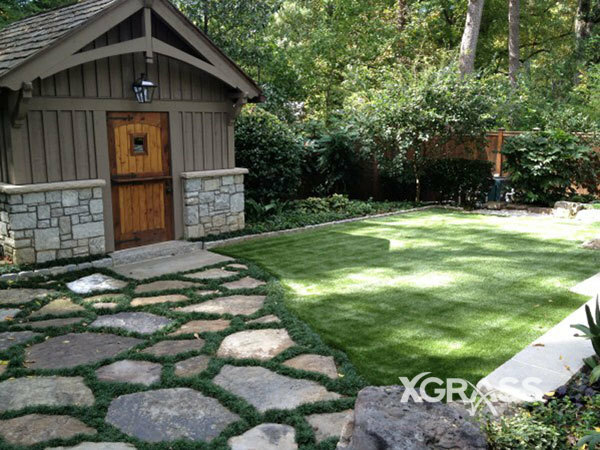 You shouldn’t have to work hard to keep your yard looking great. 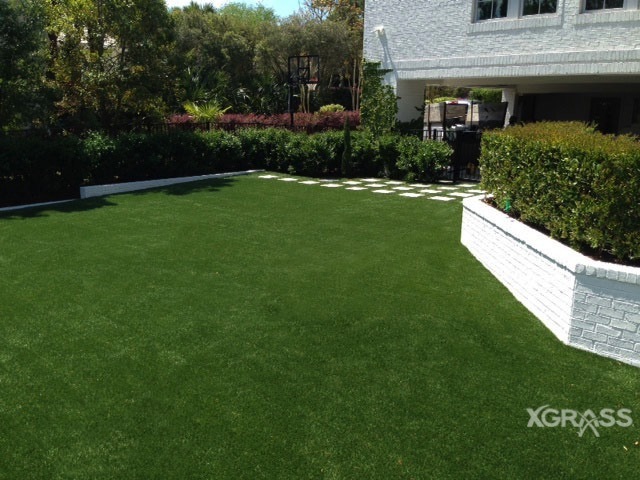 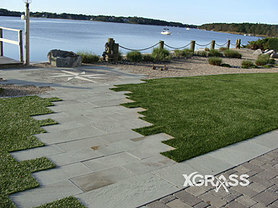 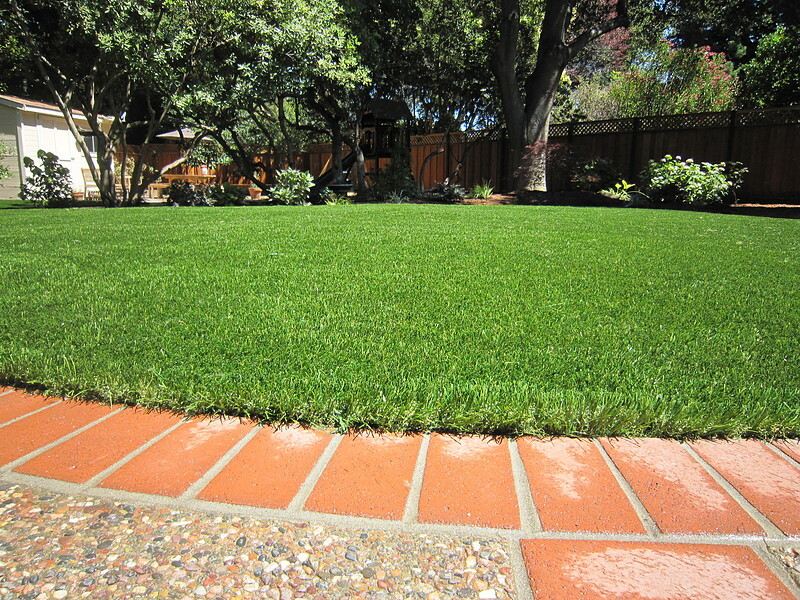 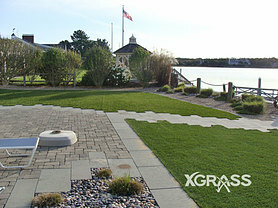 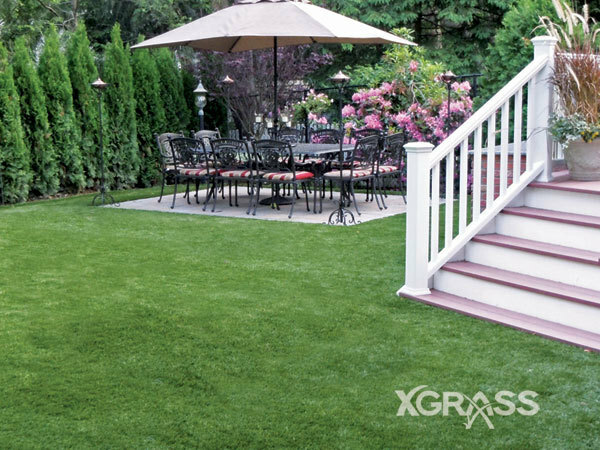 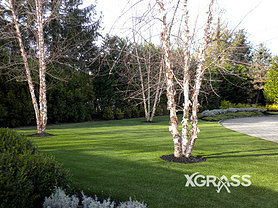 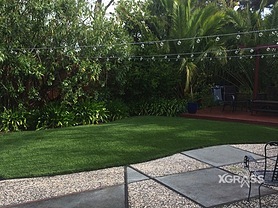 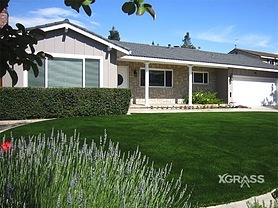 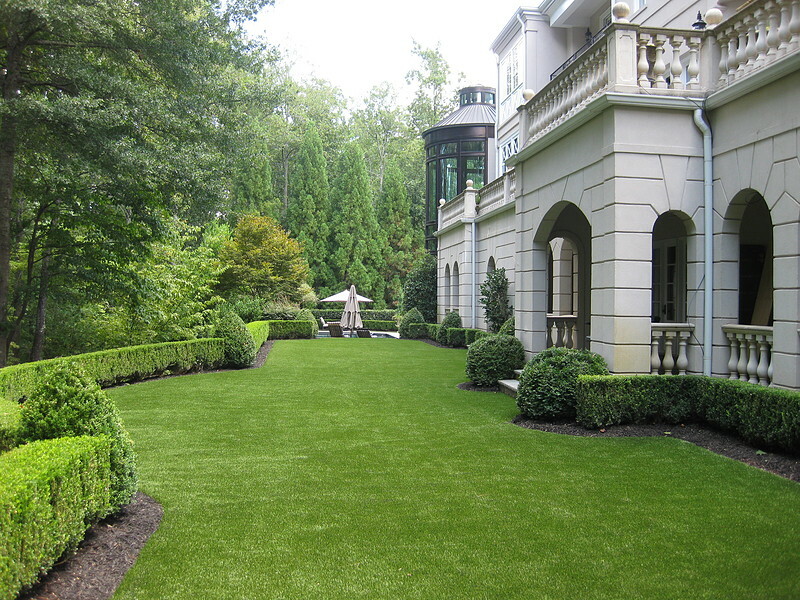 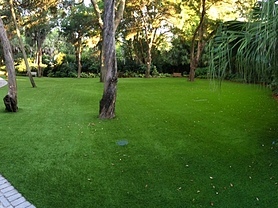 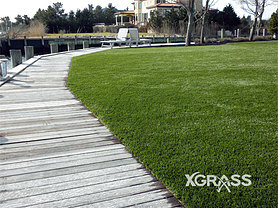 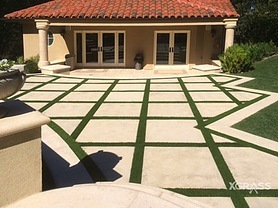 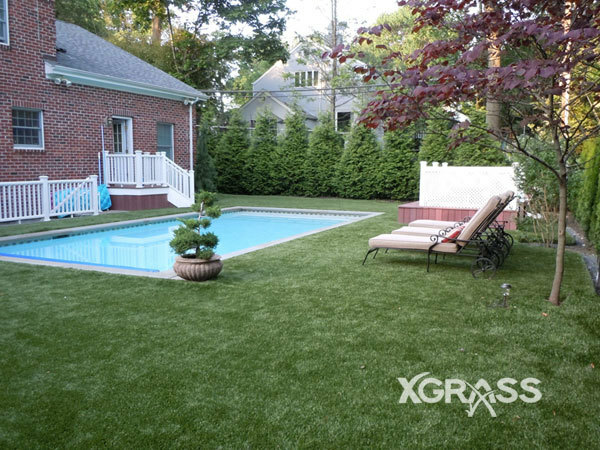 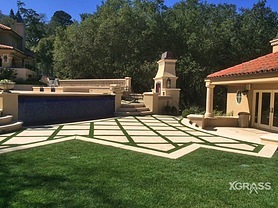 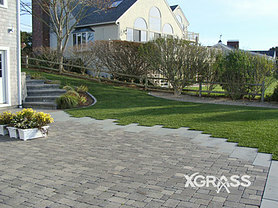 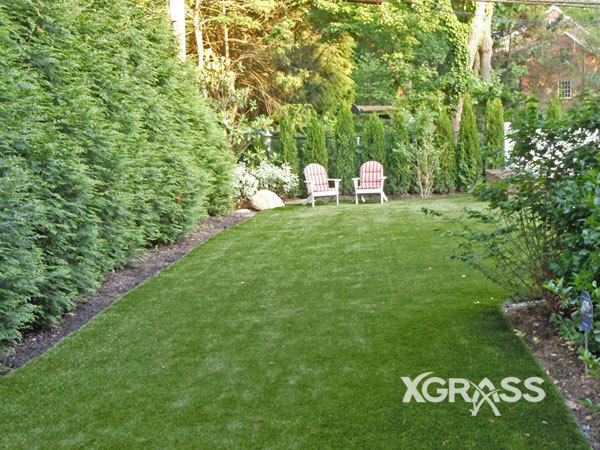 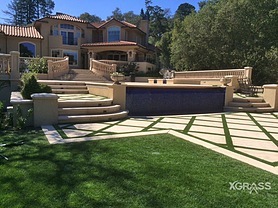 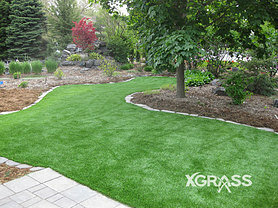 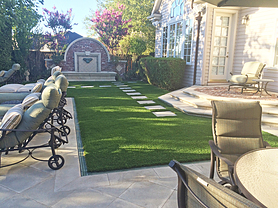 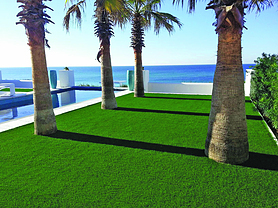 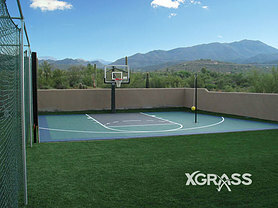 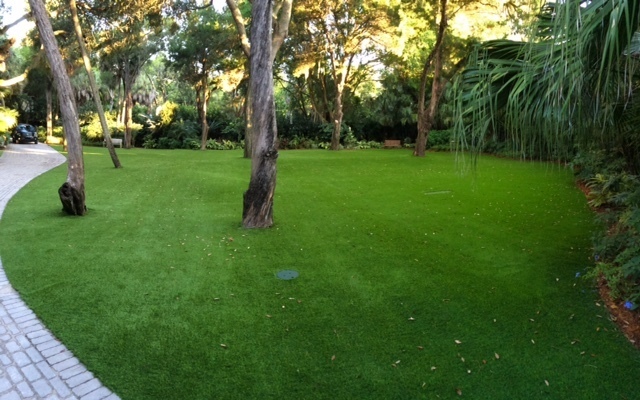 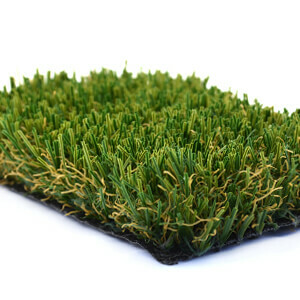 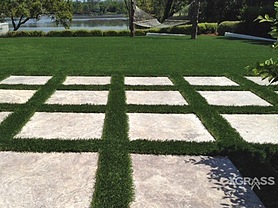 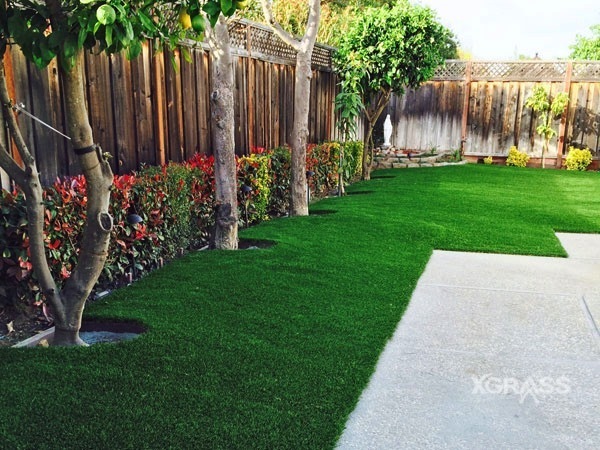 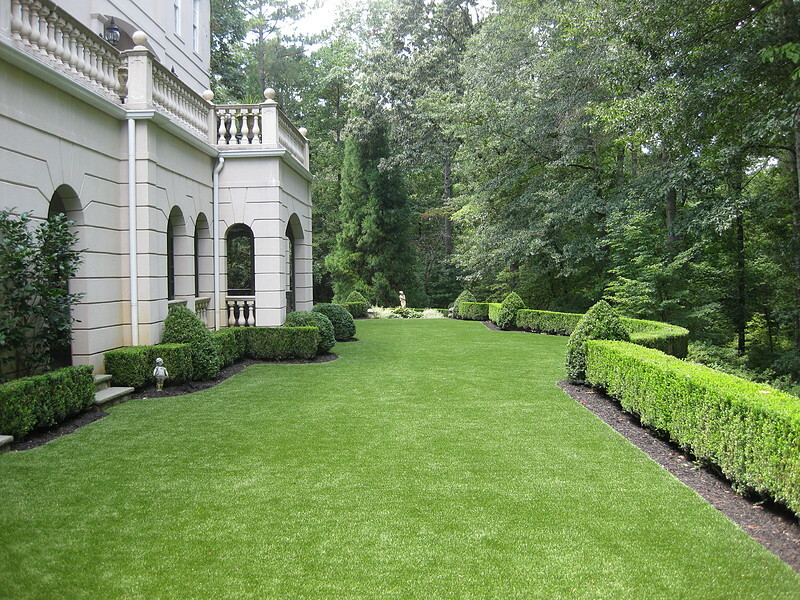 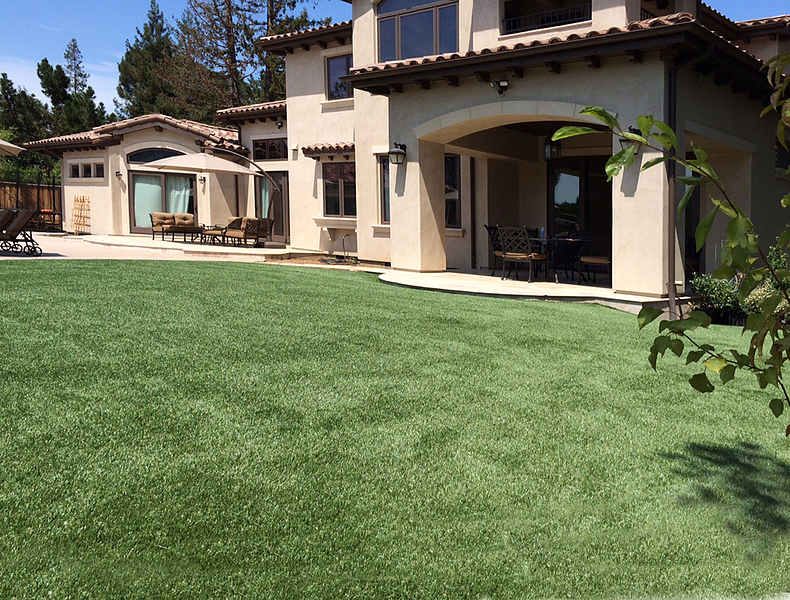 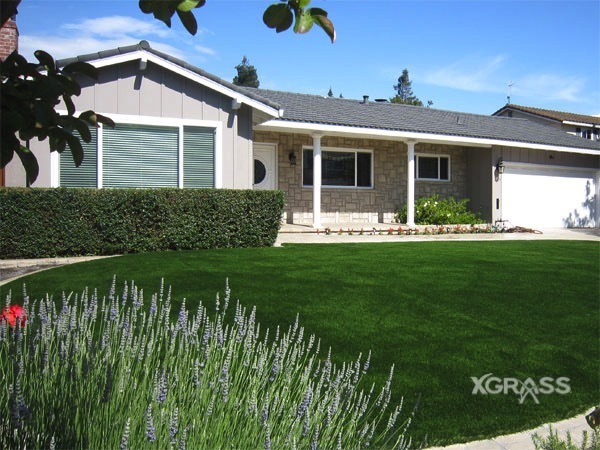 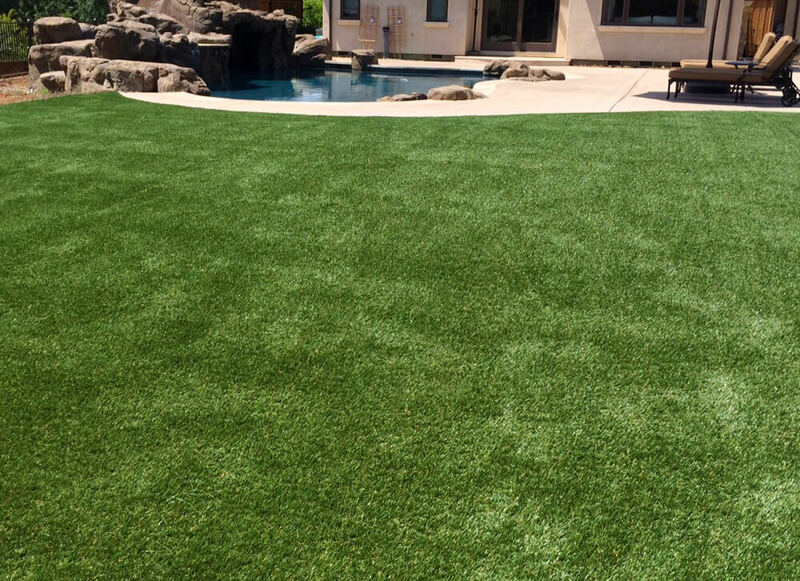 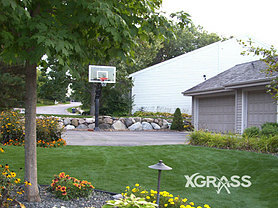 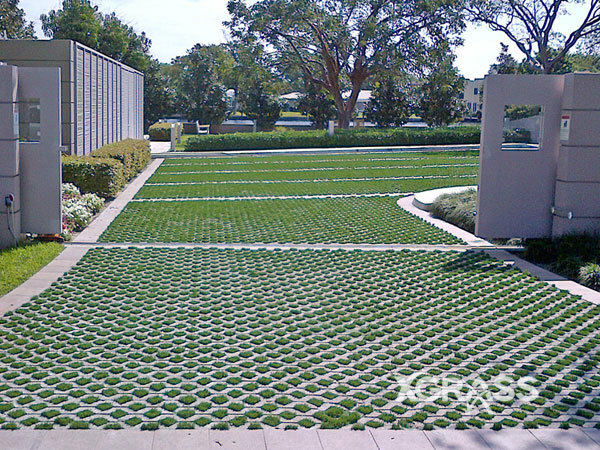 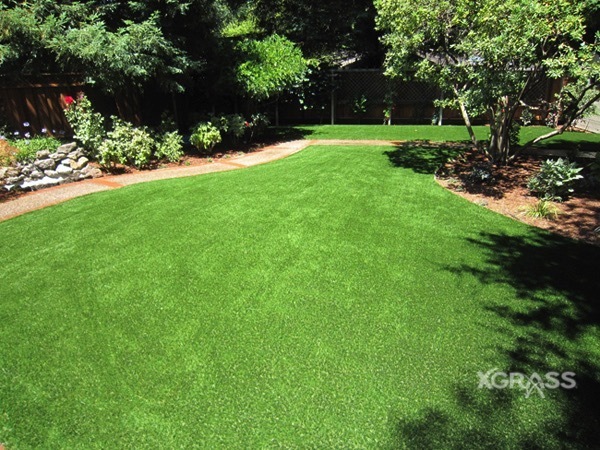 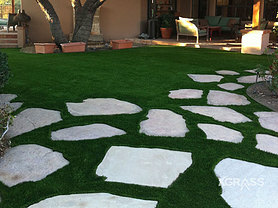 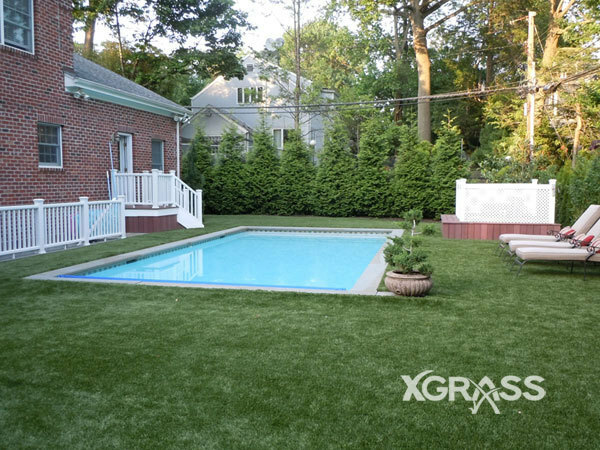 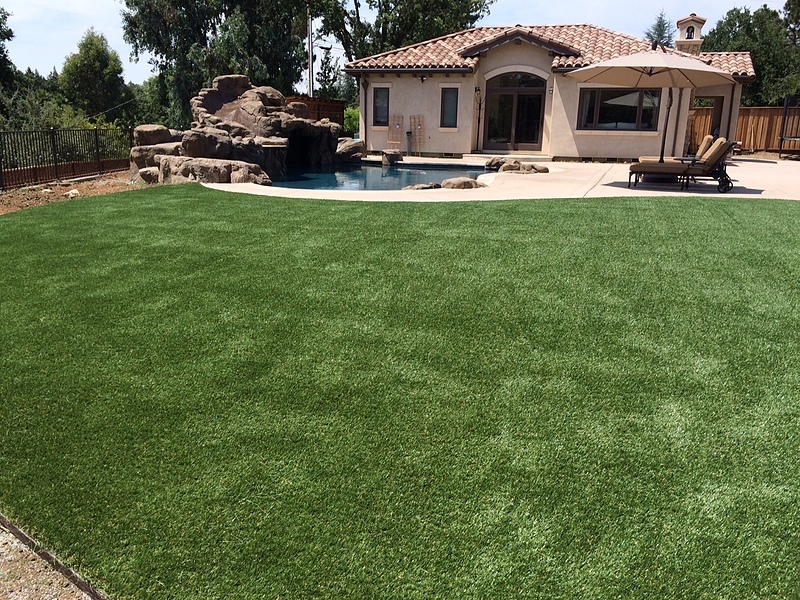 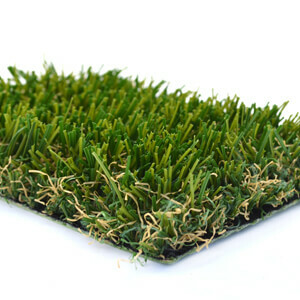 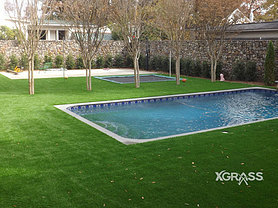 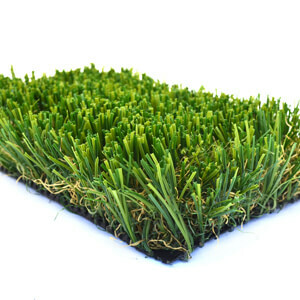 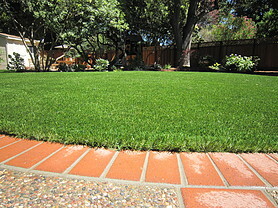 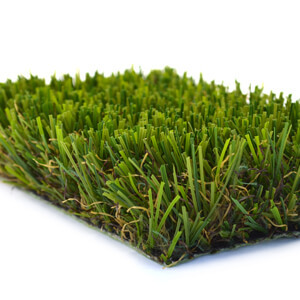 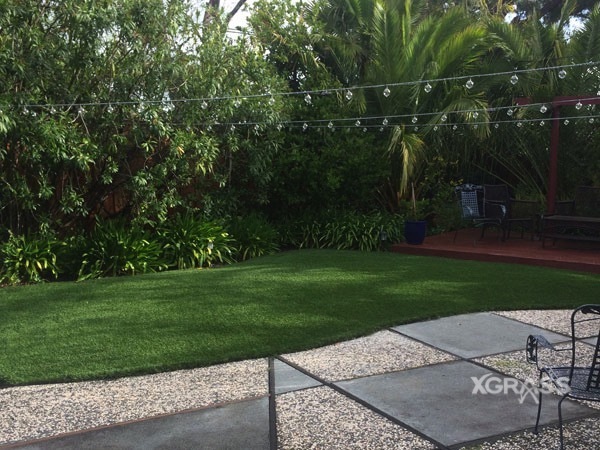 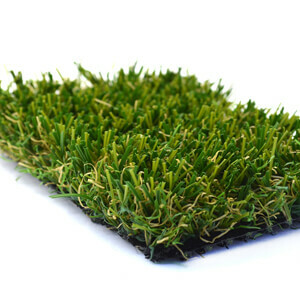 XGrass gives you everything you need for beautiful, low-maintenance landscaping in every corner of your property. 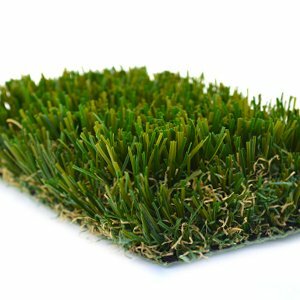 It’s environmentally friendly and safe for both kids and pets. 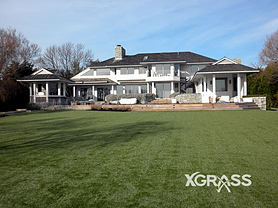 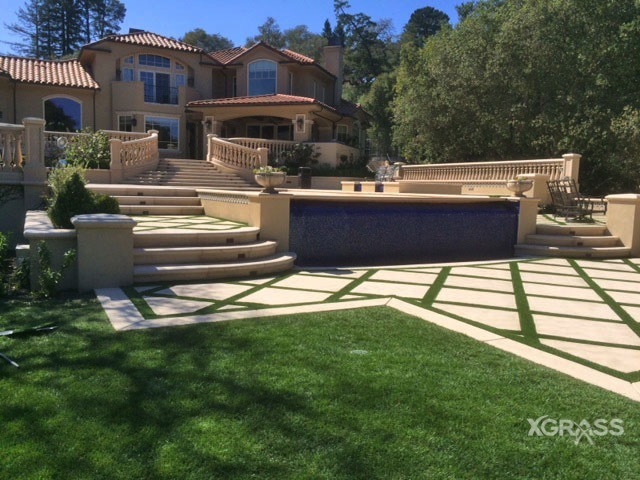 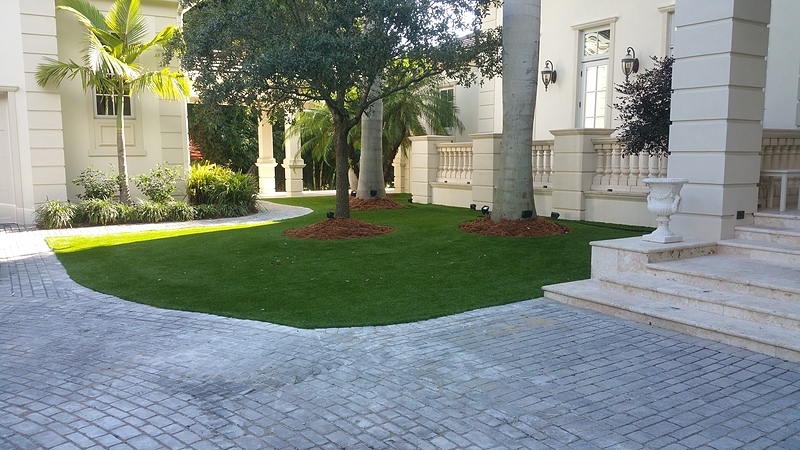 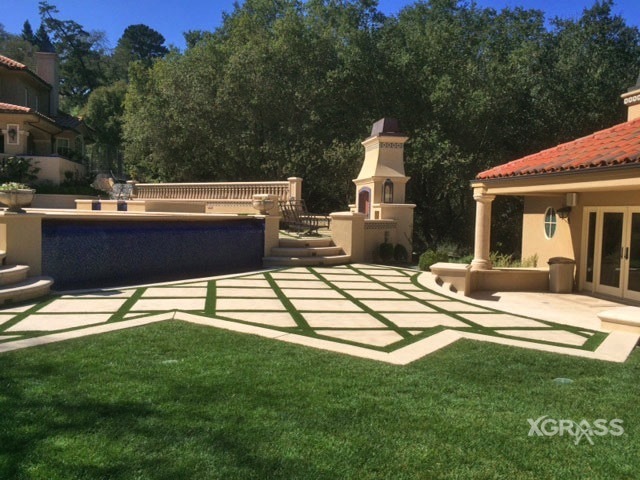 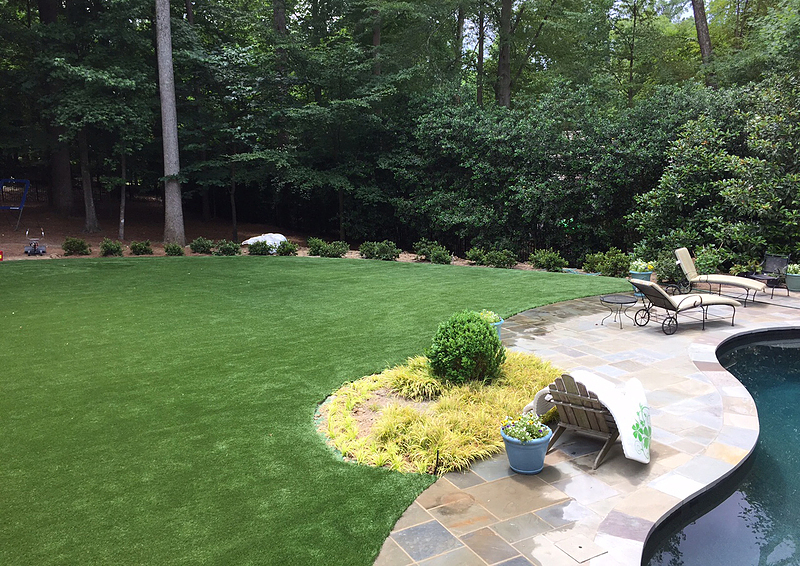 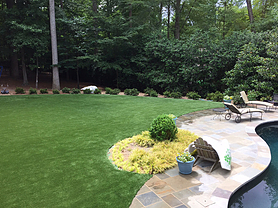 One call to XGrass will ensure you get everything you need for a beautiful new landscape that will stand the test of time. 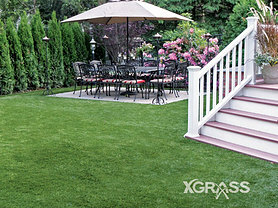 Soft, safe, comfortable, easy to maintain – and the perfect complement to any patio or landscaping project. 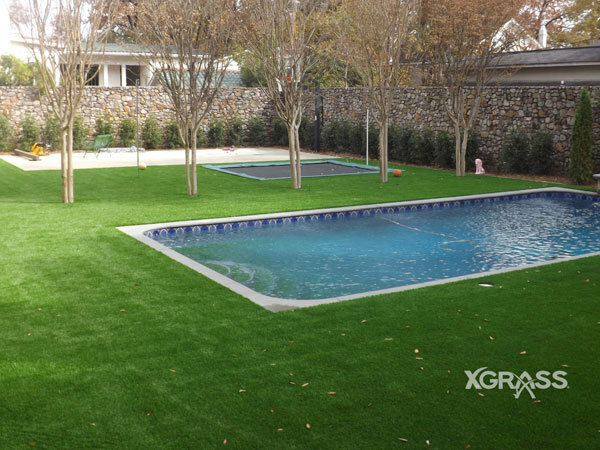 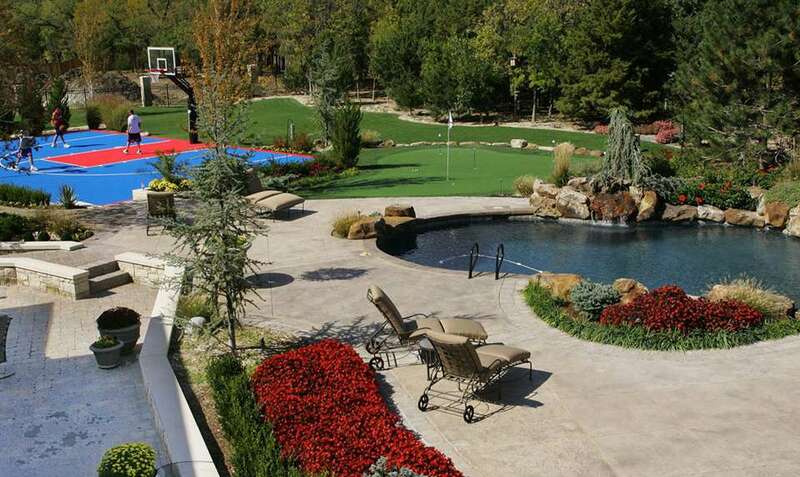 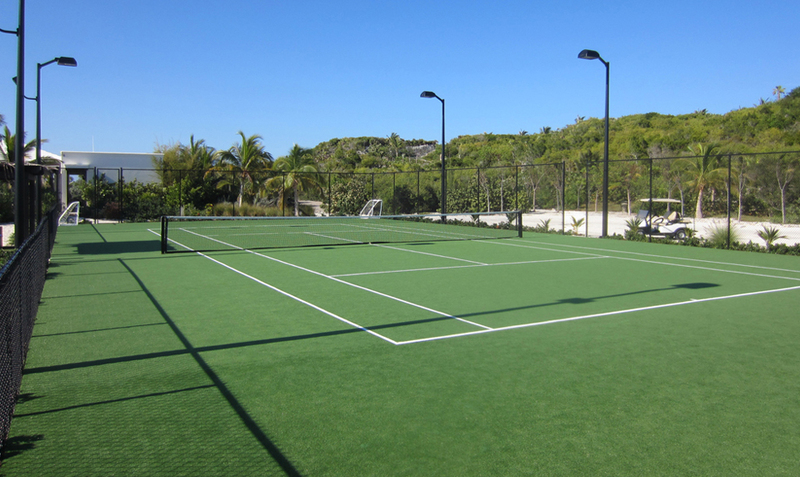 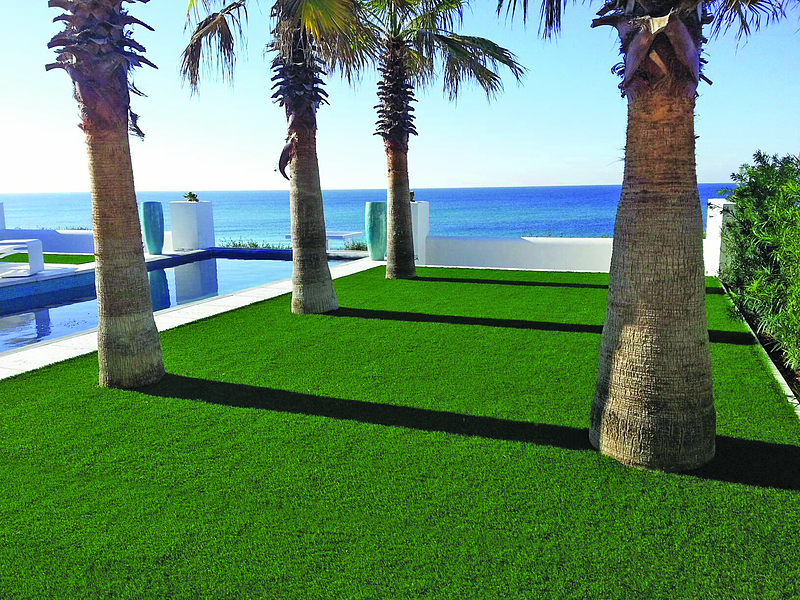 The requirements for installing most synthetic turf lawns tend to be more focused on aesthetics than safety or athletic performance. 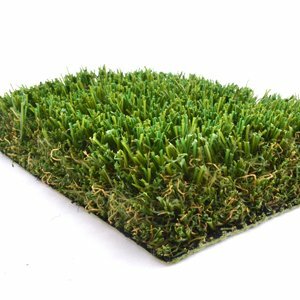 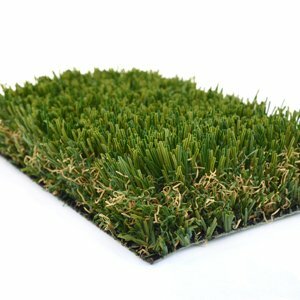 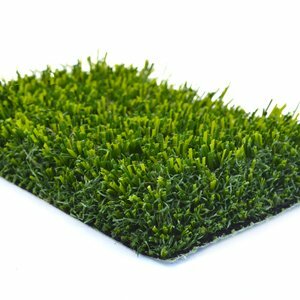 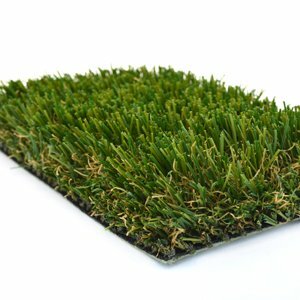 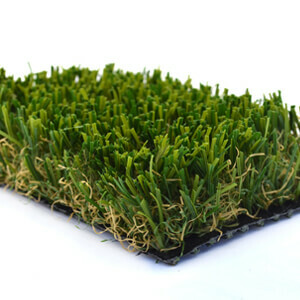 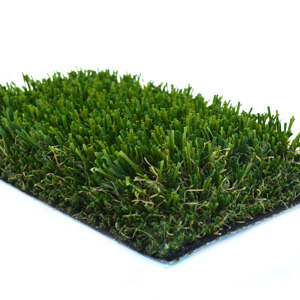 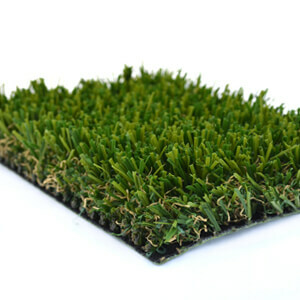 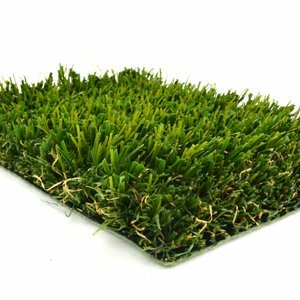 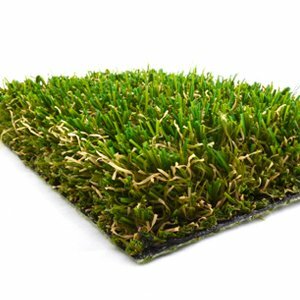 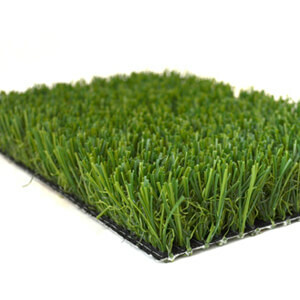 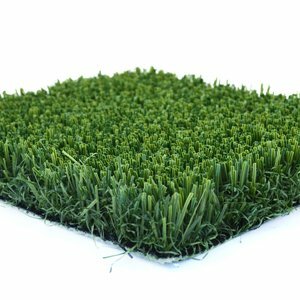 Given this, you can choose from a number of XGrass turf products and place them on top of a compacted stone base and geotextile barrier. 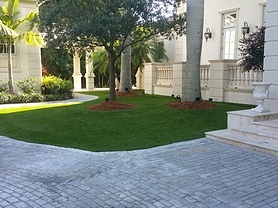 Another common installation for residential landscaping and artificial grass lawns utilizes a more natural-looking mulch border. 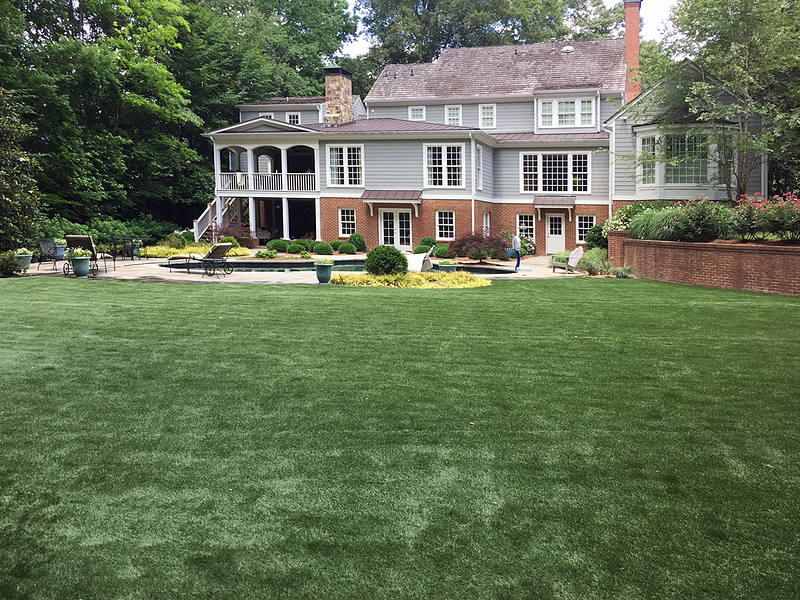 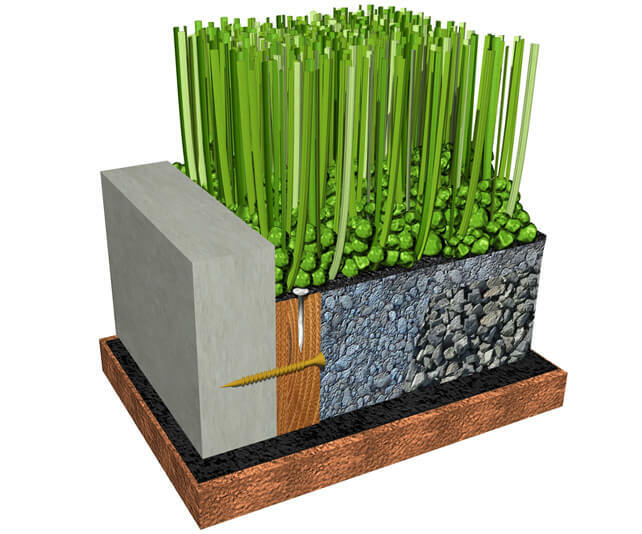 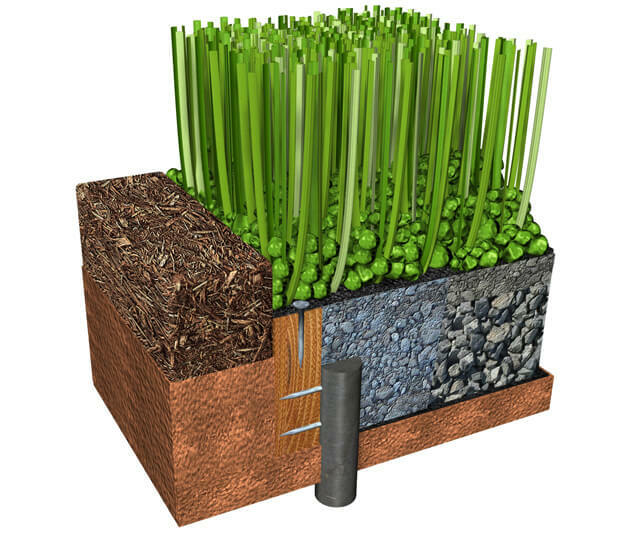 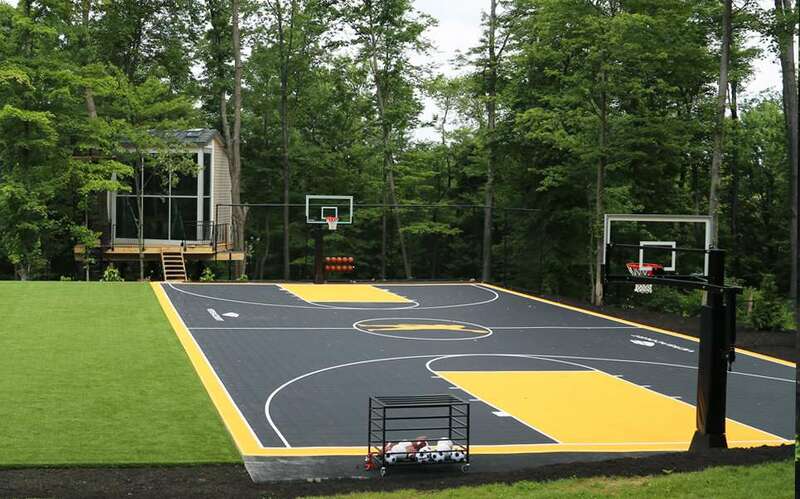 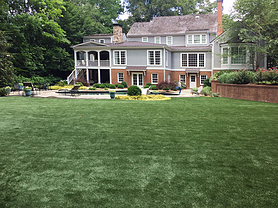 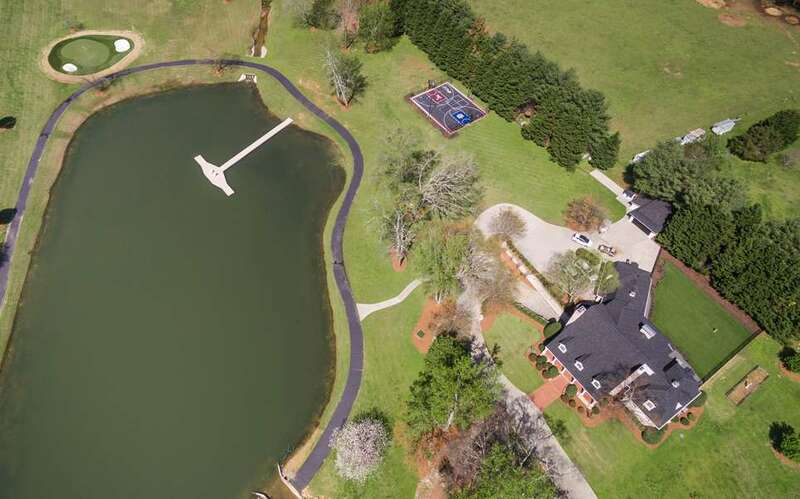 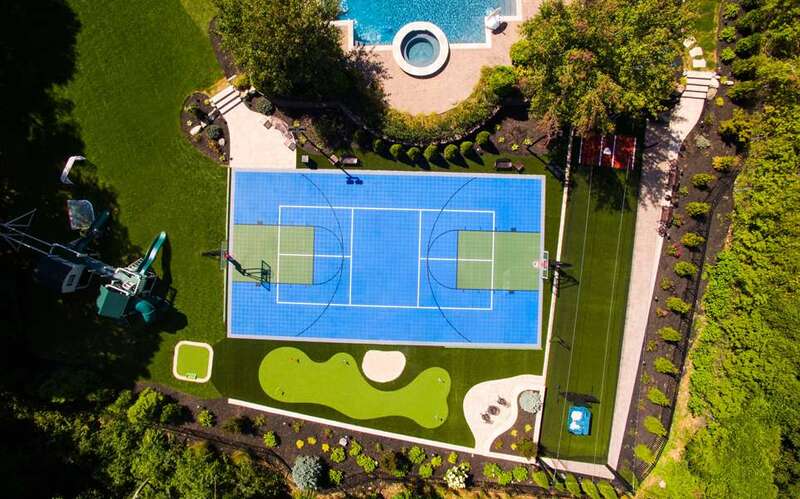 These systems typically feature one of our landscape turf products along with ¾” of Envirofill infill that gives turf a natural look while keeping it from shifting or moving. 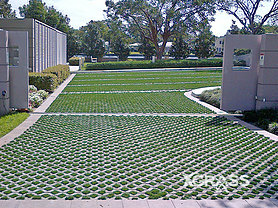 The turf is placed on top of a compacted stone base and geotextile barrier which is surrounded by the mulch areas.